Mark Bullingham will be the next chief executive of the Football Association, the governing body has announced. The Football Association has announced there will be a tribute to the victims of the mosque attacks in New Zealand before England’s Euro 2020 qualifier against Czech Republic on Friday. Newly-eligible Declan Rice was the only new face in Gareth Southgate’s England squad for this month’s Euro 2020 qualifiers. The pitch invasion during Blackpool’s home game against Southend is being investigated by the Football Association, Press Association Sport understands. 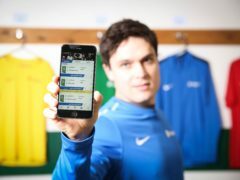 Amateur football players can now pay their match fees via their smartphone thanks to an update to an official app. Chelsea have been handed a two-window transfer ban for breaching FIFA regulations over the registration of minors. Chelsea and the Football Association have been sanctioned by FIFA’s disciplinary committee for breaching regulations over the transfer of minors, the world governing body has announced. Millwall have been charged by the Football Association after a section of the club’s fans allegedly chanted racist language during last month’s FA Cup win over Everton. British football chiefs are meeting their Irish counterparts in Rome on Friday to discuss their potential joint bid for the 2030 World Cup, with a stadium shortlist being high on the agenda. Millwall have pledged to ban for life any fans found guilty of racist chanting during Saturday’s win over Everton as the FA launched an investigation into a video which has circulated online. The FA has launched an investigation into alleged racist chanting during Millwall’s FA Cup victory over Everton. Should Fifa let the English and Scottish football teams wear a poppy on Armistice Day? The remembrance poppy is again causing controversy in football.